Conducting its second commercial satellite delivery of the month, Russia’s Proton-M rocket blasted off from Baikonur’s Site 200/39 at 18:52:16 UTC on Thursday, September 28, 2017 on a lengthy ascent mission with the AsiaSat 9 communications satellite. Proton-M fired its three stages over the first ten minutes of the mission and handed off to the Briz-M upper stage tasked with hauling the 6,140-Kilogram payload into a Geostationary Transfer Orbit. 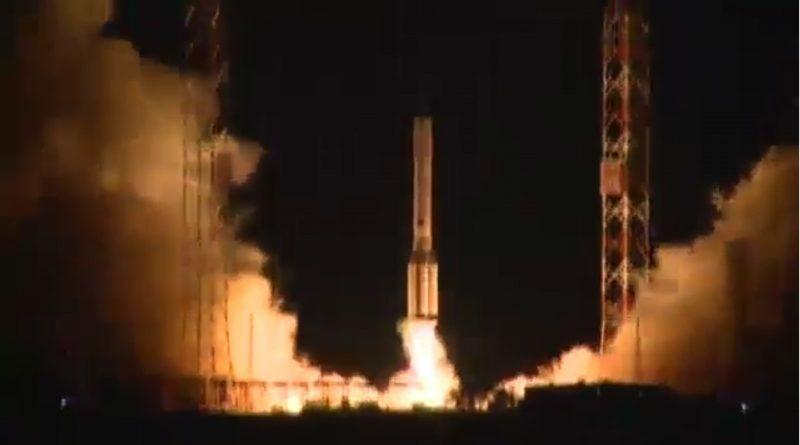 Separation of the satellite into the target orbit was confirmed nine hours and 13 minutes after launch, marking Proton/Briz-M’s fourth success of the year.